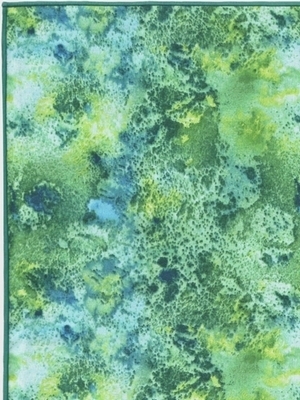 Shades of spring are mottled together on this "Spring Dreams" tarot cloth. New grass green and the chartreuse of spring buds peek through white patches of fading snow. Deep teal and robin's egg blue mottle everything like the splatter of April showers. This vibrant cloth is the perfect backdrop for a tarot reading or for an Ostara, Easter, or Spring Equinox altar. This reading cloth complements many decks well, but we particularly like: Tarot of the Old Path, Dreaming Way Tarot, and Ghosts and Spirits Tarot. Size: Measures approximately 21 by 21 inches square (approx 53 x 53 cm). 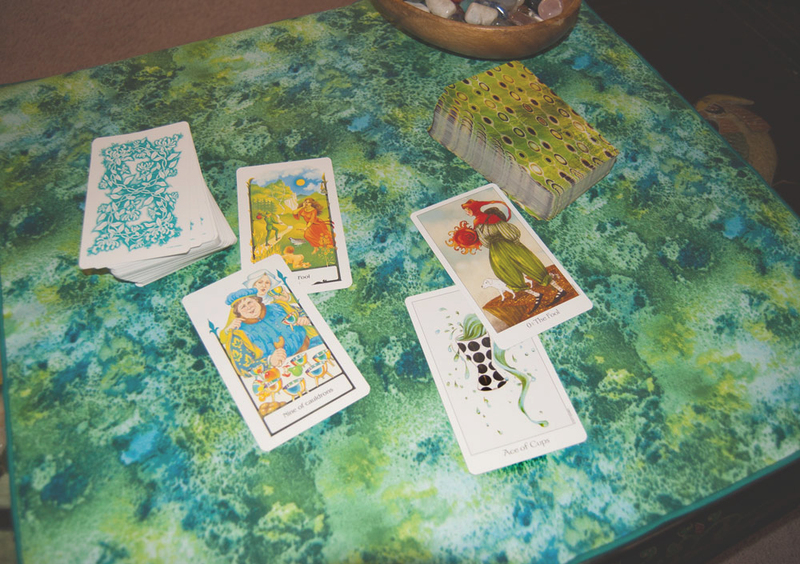 Easily fits a Celtic Cross spread with standard size tarot cards (3" x 5" or less). Want a different size cloth? Contact us! When possible, we do accommodate custom orders.